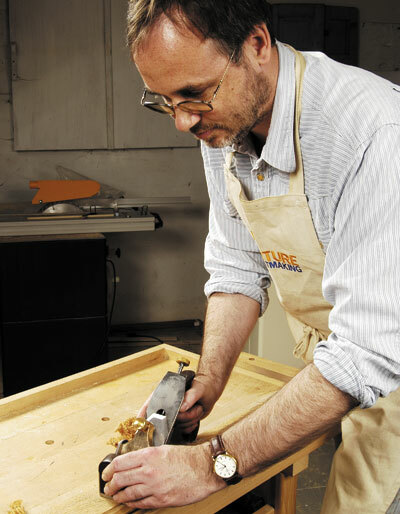 Ray Iles has run his second-hand tool business since 1983, and has been beavering away making his own range of blades for some time. Having already made some adjusters as a retrofit, he was asked by a customer to make a lever cap. Without meaning to, Ray soon found he had most of the parts for a plane, and so decided to take the next logical step. It wasn't long before the first Norris A5 smoother rolled off the line. Of course, Norris was not on his own in producing planes of the type - other famous names like Spiers and Matheison have all produced many fine planes. This type is a halfway house between a York pitch used for fine finishing, where the blade is set at 50 degrees to the sole, and the 45 degrees pitch of a Bailey. It is set at 47 1/2 degrees, so I was keen to see how it would perform on tricky timbers. With its coffin shape, the A5 is the most traditional model. There are no double dovetails that are normally associated with these planes, with Ray instead choosing to use welded construction. Some purists might not like this, but personally I don't see it as a problem. Indeed, Norris themselves also used cast construction on some of their models. True to form, Ray supplied the plane with his own blade - A2 steel at a lovely 4mm thick! The blade was flat and ready to go with just a tickle. 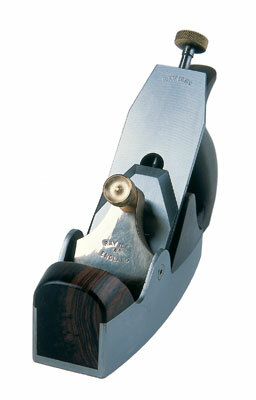 Using a plane of this type is a different experience to using a Bailey, as the weight and balance are different. Setting up the fine mouth is a matter of patience and persistence, but every bit worth the effort. I tried the plane on walnut, which was a delight, on oak, and on some horrible paudauk that was very lively - a change in grain direction every half inch! The paudauk was the only one that the A5 found a challenge, but even so, it did a pretty good job of it with only a little tear out. I liked the feel of the plane and its balance. 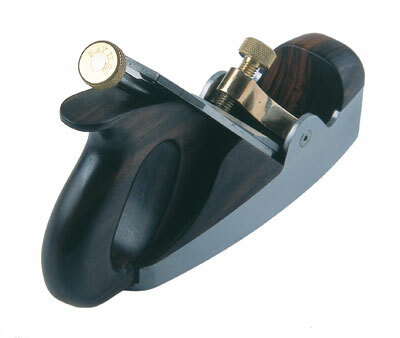 The overstuffed rosewood is nicely finished with oil that will give it a good patina the more you use it. The famous Norris adjuster that had made the difference in terms of survival for the company is unique in the way it works. The thread for cutting adjustment is set at 36tpi, which is nice to use and very fine. The lateral movement is stiff, but you can get used to it. 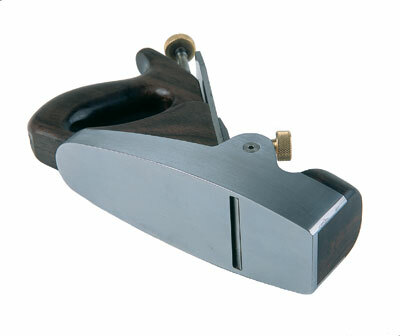 This is a classic plane that is very much a workshop tool rather than a mantlepiece item. Not only that, it's affordable! Many second-hand, clean examples of this plane are more expensive, and you don't have to do any work on the Iles A5 - a commendable achievement in my book. 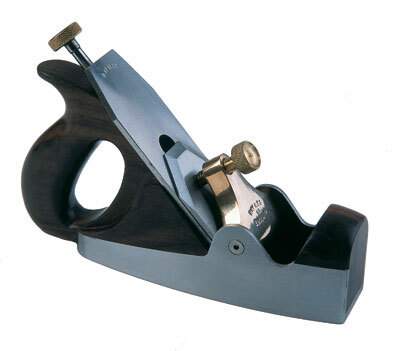 Ray is now in the process of manufacturing the A6 type - a parallel-sided version of the same plane. I'm looking forward to testing this too, but while some may find the straight sides more practical for shooting joints, I still rather like the shape of the A5. 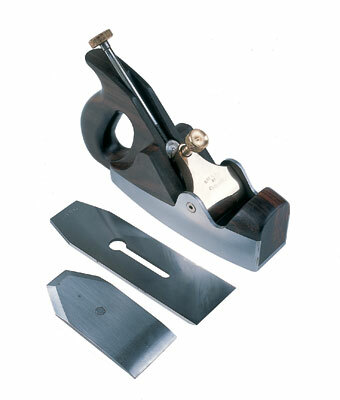 "This is a classic plane that is very much a workshop tool rather than a mantlepiece item"